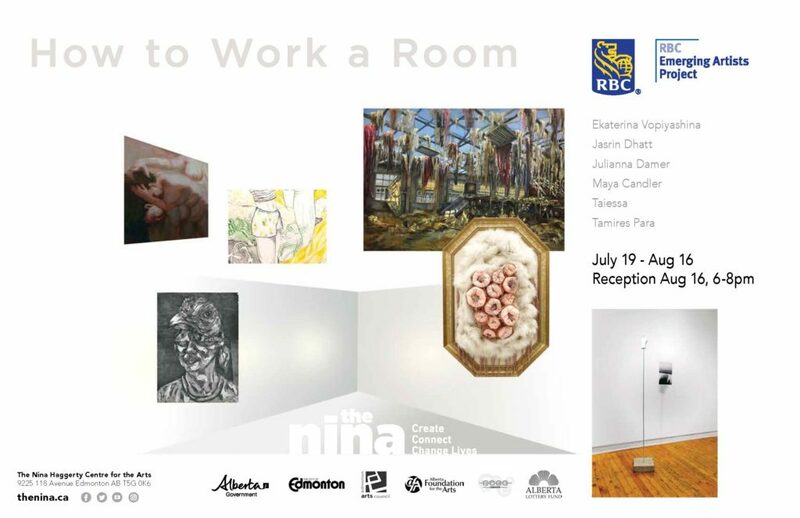 This exhibition showcases the artwork of the RBC 2018 Emerging Artists that were selected to participate in project work with the Nina’s professional practicing artists. The artwork illuminates the depth of experiment, aspiration and commitment from these growing career artists as they learn to work the room. Thank you to RBC for their continued support of Emerging Artists.